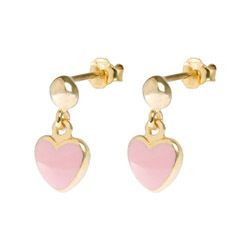 Browse these categories under "Bling"
"Bling" for the little princess and prince in your life - baby jewelry and toddler jewelry. 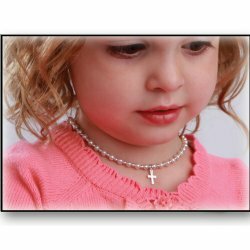 We feature only pure .925 sterling silver, lead free crystals and child-safe cubic zirconium in our baby bracelets, baby necklaces and baby earrings. 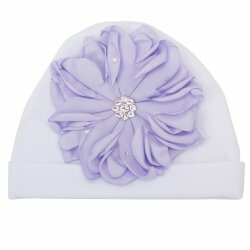 Our new baby Crowns and Headpieces category is growing strong with new selections of rhinestone crowns for girls and even baby boys. 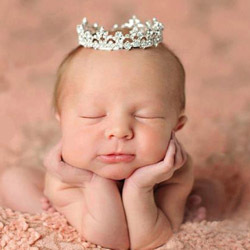 Make sure to check out the rhinestone headbands which she can wear to mark many milestones in her life. 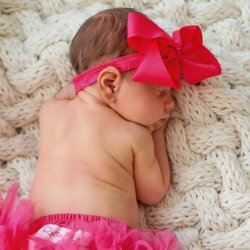 These are great for baby's first photo. 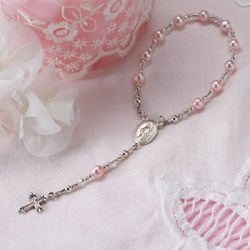 Our rosaries for boys and girls are just too precious and make wonderful baby shower gifts. 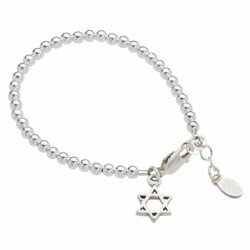 All are lovely keepsakes your child will treasure for a lifetime. Nothing is a more memorable gift than a little girls' first pearls. 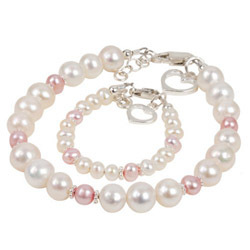 Pearls carry a certain magic that conjures up warm memories. Our Babs Tilly baby and toddler pearl collection features bracelets and earrings perfect for newborns, christenings and baby namings. 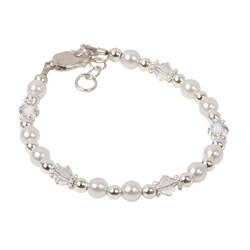 Shop our wide range of baby and toddler pearl jewelry simply by clicking on the style you want below. Please "bling" your baby responsibly. Babies and toddlers should always be supervised when wearing jewelry. 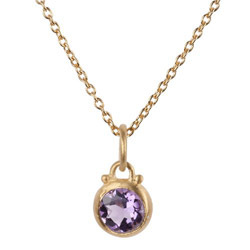 Shop our timeless and precious jewelry collection below.